"A great farm simulation game for the entire family." In the mood to test out your farming skills? Want to kill some time? Or maybe you would like to teach your kids a little bit about managing and improving a farm. 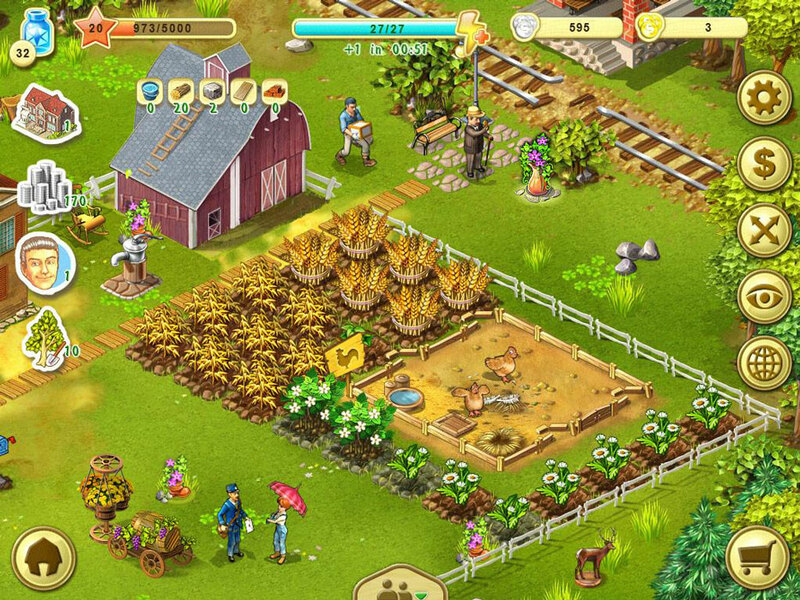 This fun farm simulation game, Farm UP, will provide you or your kids with hours of fun. The game is available offline so it is safe for kids. 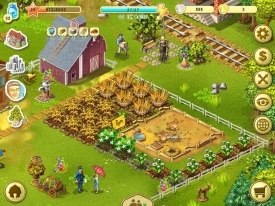 In Farm UP you play as Jennifer, who inherits her family’s farm. Will she be able to learn all of the necessary skills to in order to make it a successful venture? Will she be able to fix up the ruined farm and restore it to its former glory? - Buy four hours of unlimited energy with $16 gold coins and collect as much water as you can, collect rocks, cut grass, and collect wood. - Growing vegetables fast will give you a blue bottle per "veggie" when you collect them. At the end of 4 hours you could possibly have about 2,000 blue bottles. And this should last you many days. - Make sure that you check your collections often as possible. There will be many opportunities where you will be able to purchase three gold coins for the price of one. - There's a steady income in the game, so sometimes fast forwarding the game will allow you to easily gain more cash quickly.